From Mrs. Clinefelter; Old Congregational Church. Built in year 18; Rev R. M. Jones,(here 1891 - 1897), Mrs. Jones & daughter Gladys. [crossed out]: Mr Thompson. 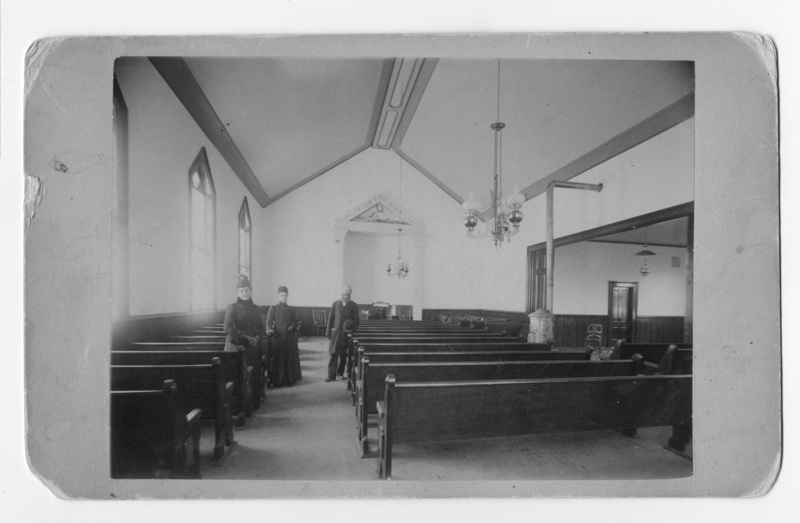 Transcription From Mrs. Clinefelter; Old Congregational Church. Built in year 18; Rev R. M. Jones,(here 1891 - 1897), Mrs. Jones & daughter Gladys. [crossed out]: Mr Thompson.